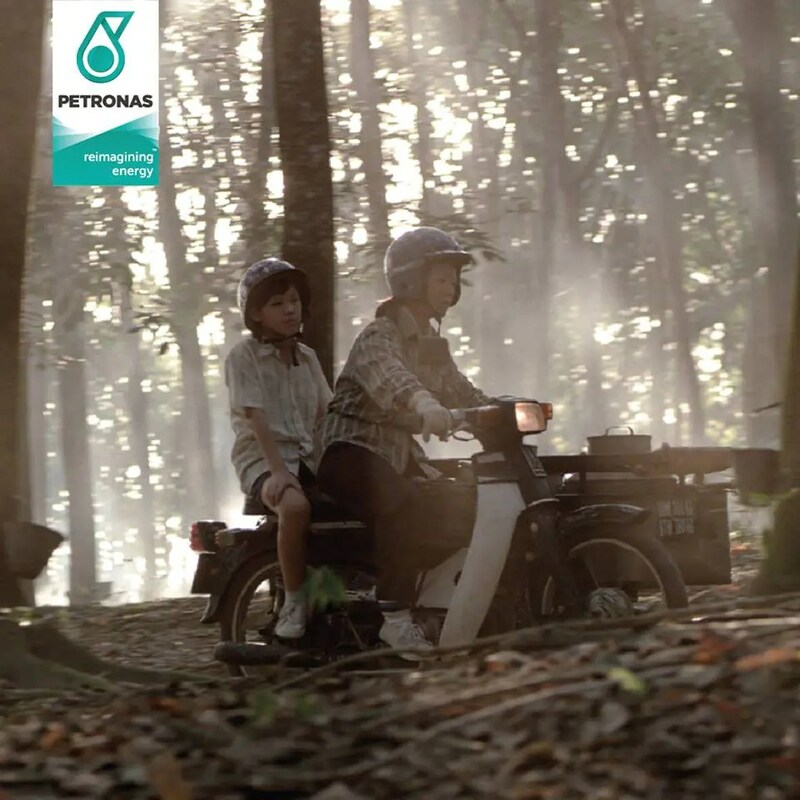 The new Chinese New Year ad campaign released by national oil company Petronas titled “Rubber Boy” is a celebration of Malaysian values and traditions. The 5 minute Mandarin-speaking clip also reminds us the importance of having appreciation for our parent’s sacrifice. “Rubber Boy” tells the story of a poor school boy and his mother, who earns a living collecting rubber in the forest. The video begins with Ah Hock feeling that he probably deserves a slap from his mother for what he did. We are later shown the reason behind his guilt. Rewind to the day before, Hock is soaking wet from the pouring rain after being dropped off at school by his mother on an old motorbike. He is also jealous of girl sitting comfortably inside a Volvo 240. When he is bullied and mocked by his classmates for a being a “rubber boy”, a fight ensued. Upon confrontation from his mum, he screams at her, holding her responsible for their poverty state. He insists that they could be rich if only she starts working harder. Tsk tsk, imagine your ungrateful child throwing a fit like Ah Hock. How would you react? Instead of disciplining him, Hock’s mum challenged him to work with her at the estate for one day to experience the life of a rubber tapper. After realising how wrong he was in his accusation, he regrets his behaviour. Heavy-hearted, he slowly approach his mum when she gives him a “slap”. Turns out, it was only to kill a mosquito. He humbly begs for her forgiveness and suggest helping her at work. His mum smiles and tells him to focus on studying hard instead. On their way back, he realised one important thing: happiness lies in the blessings around you. Ah Hock was played by Danny Low Zheng Yang, 11, who has 2 years of acting experience while his mum was played by Mandy Chong, who has work in the acting industry for 25 years. “We believe this story is relatable to us all. We are guilty of this at one point or another where in chasing our dreams, we lose sight of what’s important – our loved ones. We hope that ‘Rubber Boy’ will inspire Malaysians to take a minute to appreciate their greatest blessings,” said James Yap, creative director of Leo Burnett KL. The work was done by Leo Burnett Group Malaysia whose clientele includes Petronas. Those who wish to share their greatest blessings entries can do so by using the hashtag #greatestblessing on their social platforms or on their website here. Have a blessed Chinese New Year everyone!